House of Mutt Blog » Time for chips! 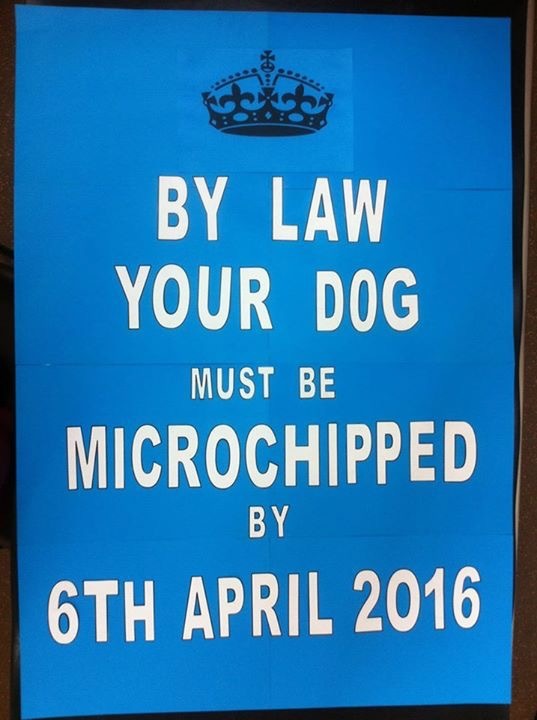 A reminder that microchipping becomes compulsory for all dogs in England, Scotland and Wales on the 6th April this year. It’s not a hassle and it is a major player in helping reunite lost owners with their dogs. Put it on the To Do List ! It’s an easy and harmless procedure and provides your pet with a form of identification that lasts a lifetime. Each chip has its own code that is revealed when scanned by a vet, which correlate to owner’s details on a database. A microchip provides vets with all of the information required to reunite stray or lost dogs with owners, with figures from BVA’s Voice of the Veterinary Profession survey revealing that the most common reason vets could not reunite missing dogs with their owners was due to a lack of identifier (reported by 71% of vets); followed by 23% of vets citing incorrect information on the microchip database as the second most common reason. From 6 April 2016, failure to have a dog microchipped or to not update database details can lead to a fine of up to £500. More information on the incoming legislation can be found at www.bva.co.uk/Microchipping.